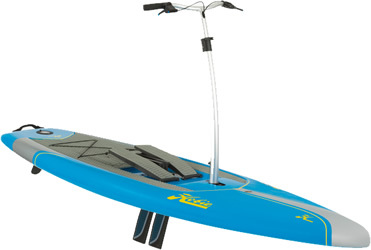 The first true “Stand Up Pedalboards”, Hobie’s Mirage Eclipse SUPs are the only Stand Up Pedalboards powered by foot, using Mirage Drives (as used on the Hobie kayaks) for propulsion. 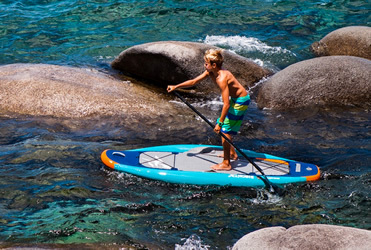 We are dealers for all of Hobie's Stand Up Paddleboards and we can help you to choose the right board for your needs. We can even help you to get started on the water, with your new board, at our school in Wicklow. For more information on Hobie's HUGE range of Stand Up Paddleboards please visit their page. If you are interested in talking to us about buying a Hobie S.U.P. please contact us.